Business Development & Communications – tells the story of One Acre Fund’s smallholder clients to donors, supporters and the world. Government Relations and Policy – builds and maintain relationships with government and other stakeholders. Help shape rural development policy. People Operations – supports the rapidly growing One Acre Fund family of leaders, finds the next generation of talent. Systems – Manages the data and business processes that help us reach farmers efficiently. 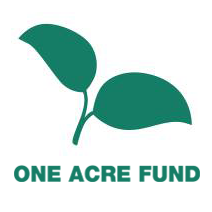 Interns and Fellows are valued members of the One Acre Fund family and we are looking for the best of the best – less than 1% of applicants will be placed. We ask all staff to take a “Farmers First” attitude and approach their work with humility. Specific projects may change with the needs of the organization. You are a university graduate. You can speak and read English fluently. You hold citizenship or work authorization in Tanzania. Leadership experience at work, school clubs, volunteer organizations etc. One Acre Fund invests in building management and leadership skills- even at the intern and fellow level. Your manager will invest time in your professional development. We provide constant, actionable feedback delivered through mentorship and a final performance review upon completion of the internship period. We also have regular one-on-one meetings, where we listen to and discuss career goals, and work collaboratively to help develop the skills that would put you on your desired career track. This is a paid program. Interns/Fellows will be provided with a reasonable stipend for the duration of their contract. Those based at rural sites will be provided assistance in locating suitable housing. Internships are a recruiting initiative. Historically, about 40% of interns/fellows are hired on to full-time roles. One Acre Fund works to make African smallholder farmers more prosperous. We supply everything farmers need to grow more food and earn more income. We deliver quality farm supplies on credit, deep in rural areas, and trainings to improve farmers’ harvests. We currently serve 600,000 clients in six countries across Eastern and Southern Africa, and we aim to reach 1 million farm families by 2020. One Acre Fund started in Tanzania 2013. In 2017, our team of 490 served 39,000 farmers. Our headquarters is based in Iringa. Complete this application form at the end of yhis advert by September 14, 2018. Submitting a CV is optional but you must complete the application form including two essays and proof of work eligibility. As part of the application process, candidates will be required to complete written assessments, a phone interview and in-person interview at one of our offices. Final selection will be made in December 2018. All candidates will be contacted – please do not email for an update on your application.